Celebrate Mother's Day with an All About Mom questionnaire! 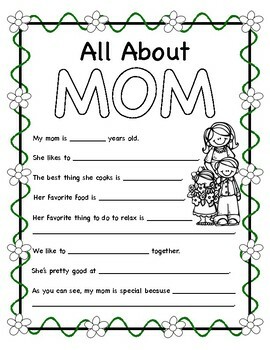 Ask your students what they like best about their moms, then mount and laminate for safe keeping. The younger the students, the sillier the answers!